Full body and face massage with chestnuts for the rest, health and energy. Body and face massage with the effective chestnuts the restores body energy. Have you ever come across stress and overwork caused head, back or shoulder pain? Enjoy10-15min express massage in the very center of Riga and you will regain strength. Under the influence of this massage excitement can build up or wear off. Massage positively influence both the heart and blood vessels. Face muscles in the same way as body muscles begin to atrophy without regular exercises. Therefore face massage is one of the most important face skin procedures. Massage removes the tension, clears the body, restores the bio-field, regenerates skin, makes it more solid, harmonizes energy centers, improves sleep, increases poor sexual performance, heals psychosomatic diseases, acts on biologically active points, reduce cellulite. This massage helps quickly to regain health after a serious disease or operation, helps to heal the operation wounds, helps to remove excess fluid from the body and helps with metabolism. How to get a great body without diets? Lymph-edema pump-a very effective anti-cellulite procedure, also in cases when cellulite is already at an advanced stage. During the procedure lymphatic flow is activated, removed excess fluid from the body. Already after the first procedure body weigh reduces on average 600-800g. This massage is the best tool in the fight against cellulite. Massage makes your skin smooth and silky. Natural honey is used in the massage. Massage is also given in the cellulite affected areas. The result is already after the first procedure. 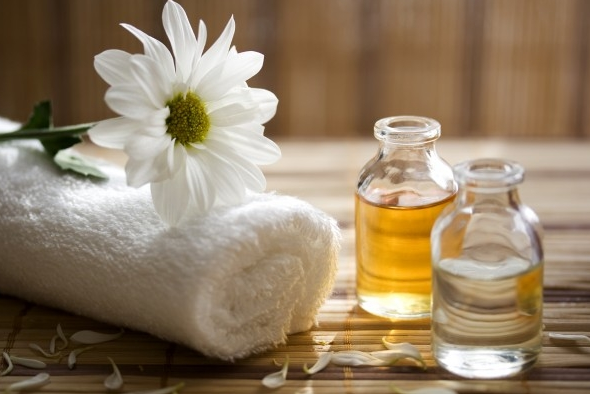 Massage is given with prearranged herbs that are prepared for the client's disease treatment. It is the best massage that removes bone pain, nerve strain and improves general well-being. Lavender and buckwheat bag massage- ideal tool for the nervous tension removal. Marma points is a science about the life points of the body. By the help of this massage you will help other people to regain health and a positive mood in a very short time. It develops intuition and para-psychological abilities, improves all organ function. The result of the massage-total relaxation and internal sensation of comfort. This massage helps to get rid of the excess body weight, restores the beautiful body proportions, improves blood and lymph circulation, endocrine system, outputs the toxins. In our foot there is hidden power of faith and piety. When we touch a holy man, we are given abilities to develop. On the feet there are a lot of points-projections of all the organs. By touching these points we affect the whole organism. It is a great youth generating procedure. Effects are on the points. Muk – face, abjanka – effect. Aim – body saturation with prana, body energetic clean-up. Acting on marma points, energy fills the organs and stimulates their function. Lomi-lomi is an exotic massage. It comes from Hawaii islands. During the massage warm oil is used. Lomi-lomi massage revitalizes the body and soul, eliminates the muscle tension and the inner blocks. It also improves blood circulation and restores the joint mobility. Butterfly massage – it is one of the soft bio-energetics techniques. After the massage tension, tone and hyper activity is removed. The flow of energy is recovered in the body. Massage is given both to children and adults at different ages. Young Living essential oils have three aspects – physical, psychological and the spiritual aspect. Due to the fact that the mental energy is becoming more and more powerful also oils have a stronger influence in a spiritual level. Consequently, also psychological and physical level increases and gives better effect. Wooden duster massage can be greatly combined with bath house procedures. Wooden duster is an ecologically clean massage tool. By the help of the dusters is performed an incentive effect on the skin, which improves blood circulation. The beginning of Shiatsu massage is in China. Later on this massage was overtaken by Japanese. It counted as emperor massage as it was given only to emperor. In the 19. century people started to use this massage more widely. Massage is performed along the meridians, pressing with fingers, hand or forearm, simultaneously matching it with the client's breathing.